In our house, dressing up is second only to breathing. So you can imagine our delight when we were invited to check out the brand new Little Street in Maidstone, where make believe comes to life and the only limit is your imagination! 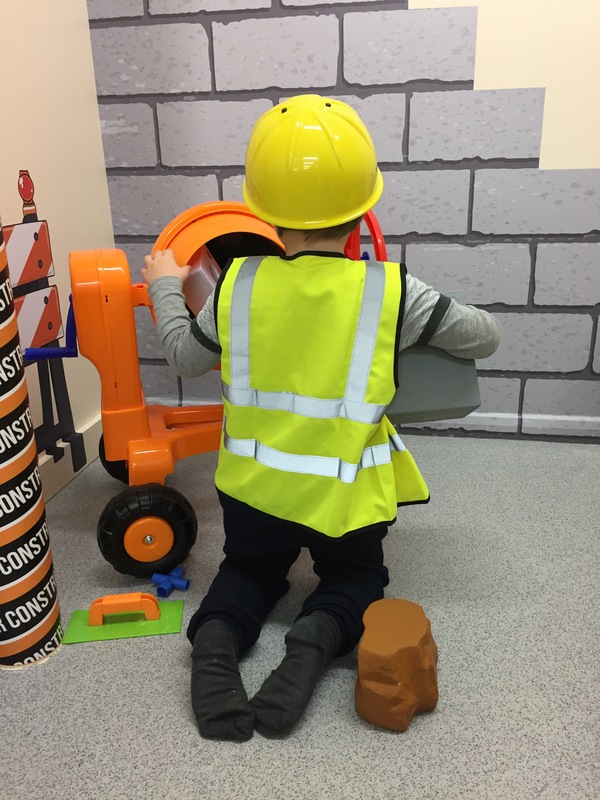 The boys love getting into character and playing a part: whether they are being superheroes, cowboys, firemen, princes or princesses, there’s always a costume involved. Mostly these are improvised: a tea towel around their shoulders as a cape, a box with a hole cut in for a robot’s head; but they also have a big box of dressing up clothes and hats, which they love to rummage through to find the perfect costume for their game. 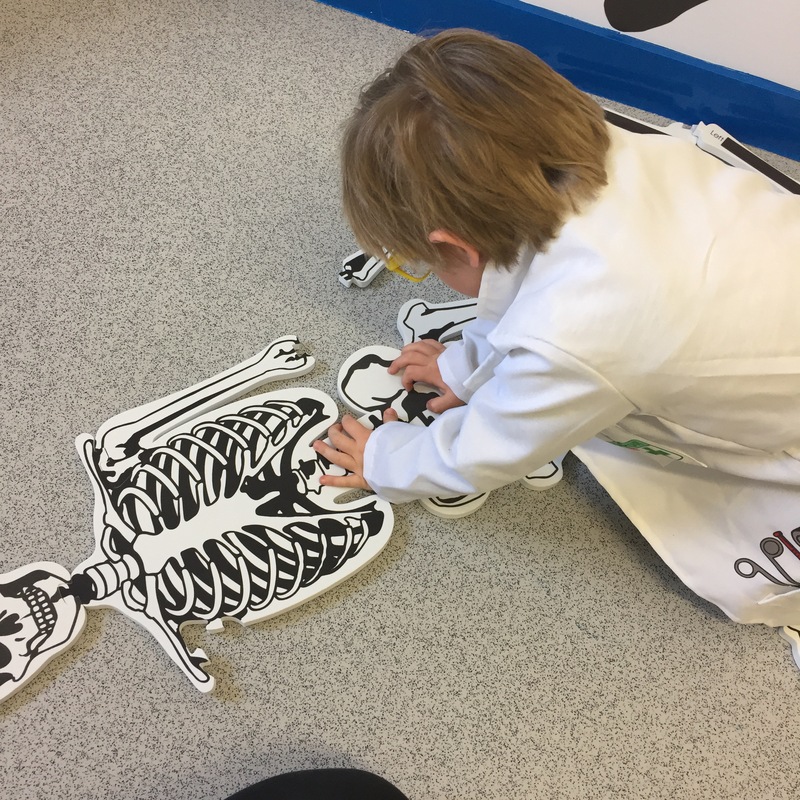 Our eldest has always adored make-believe and getting into character and now his little brother, who copies him in absolutely everything he does, is following in his footsteps. 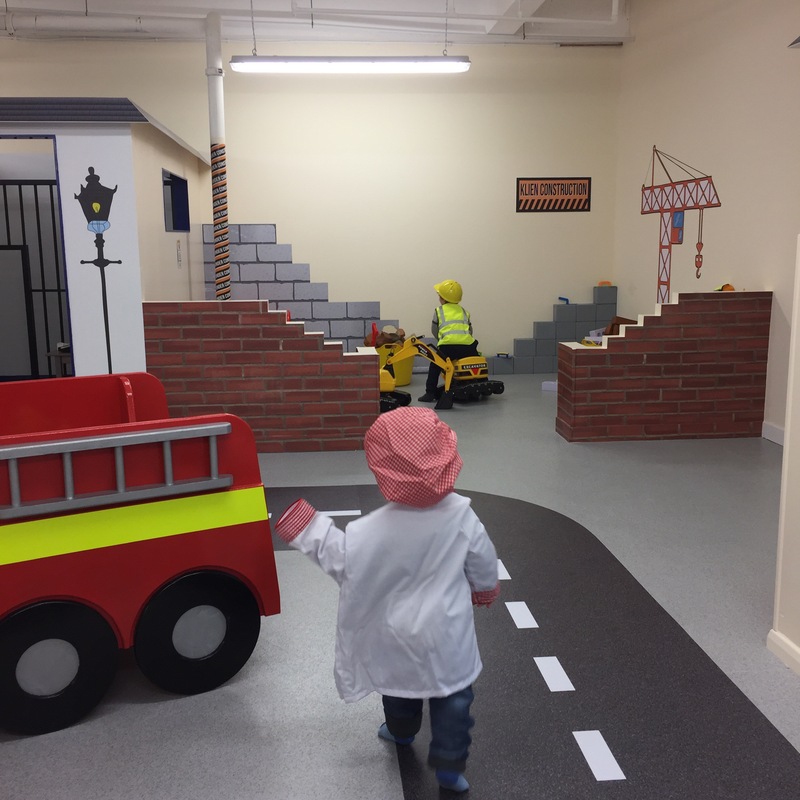 Little Street is a brilliant concept for young children: a toddler sized town, complete with fully furnished play zones with costumes and props. 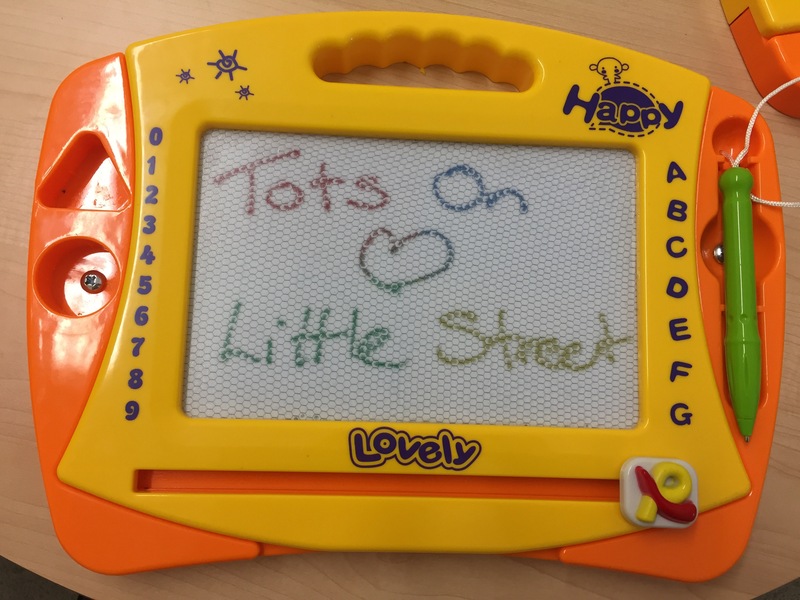 We reviewed Little Street in Frimley, Surrey, in 2014, when my eldest was just 14 months old (Review: Little Street, Frimley). 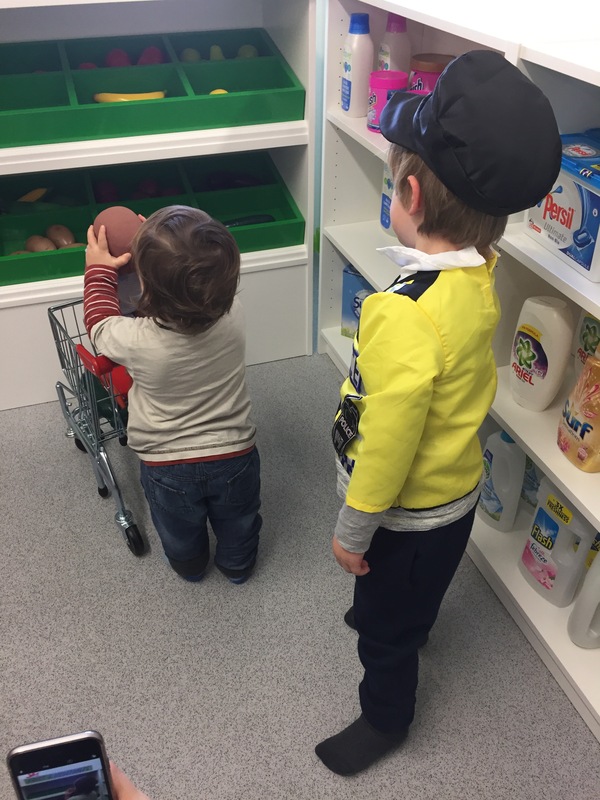 This time, with my 3 year old and 18 month old in tow, the tots could road test every aspect of the new space in Maidstone, which they definitely did! Little Street is like a town for little people, in fact the boys dubbed it “small town”. A fire engine has pride of place in the centre, surrounded by a circuit for push along cars and bikes, worthy of any boy racer! 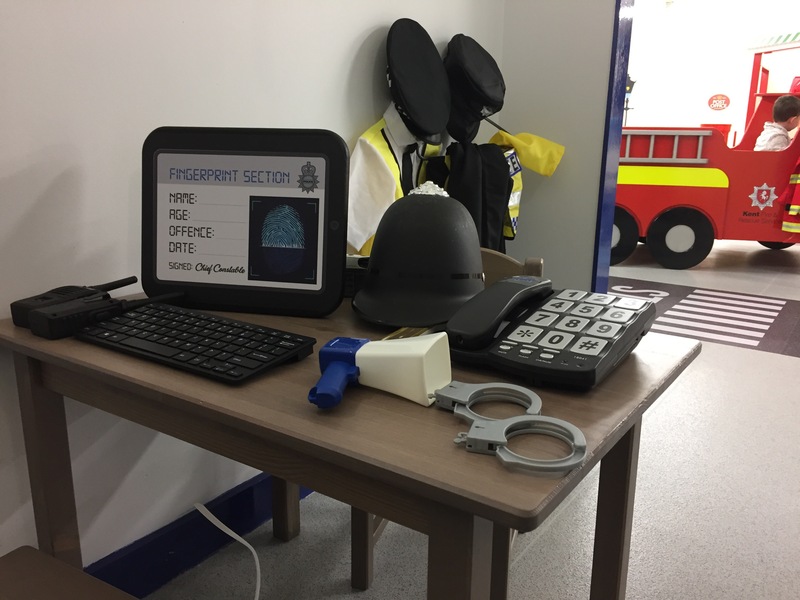 A police station (with cells), a fully stocked supermarket, a doctors surgery, a school, a building site, a cafe, stables and a stage with dressing room and make up parlour make up the rest of the street, and the attention to detail is unbelievable! 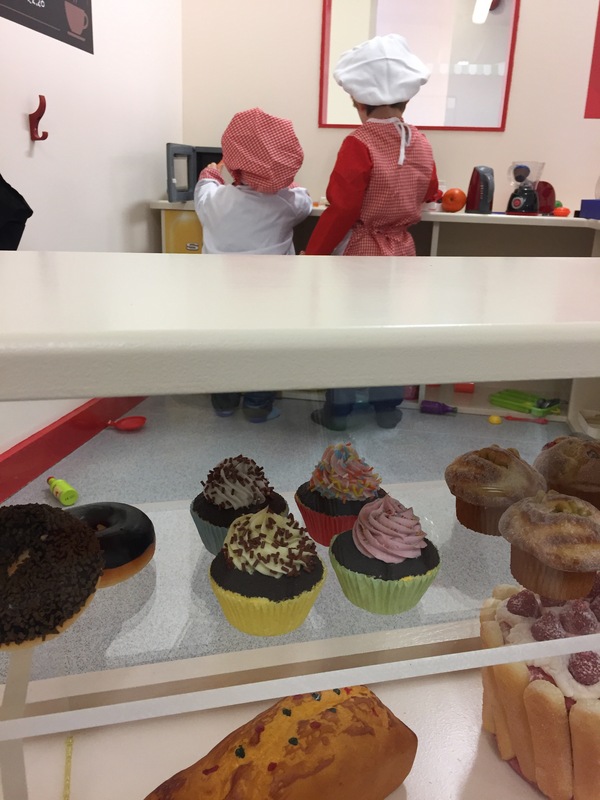 As well as uniforms to dress up in, each shop or building has a huge number of props to bring the whole experience to life. 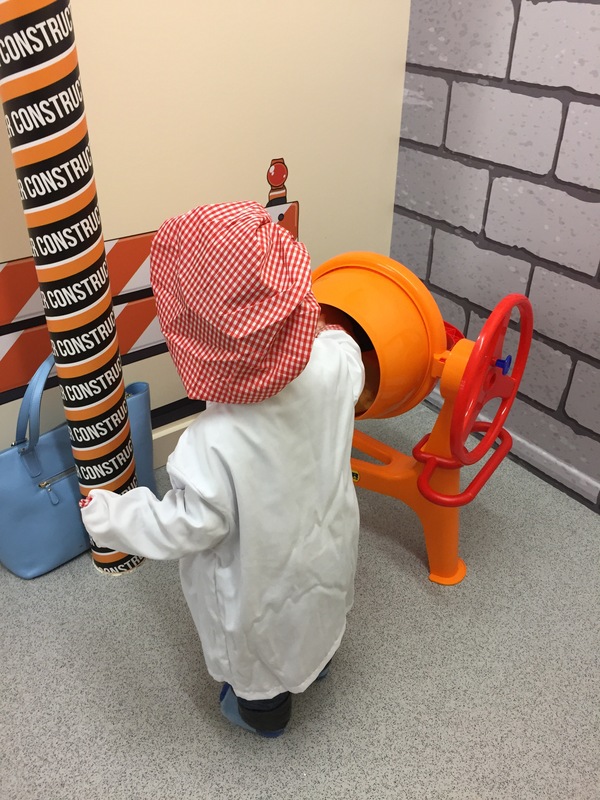 We had a little chef from the cafe, toddle over to the building site to help his brother mix cement; and a policeman who was at home in every scenario – even on the stage with a rock guitar and tutu. We were already huge fans of Little Street and what owners Shay & Hannah Elbaum have set out to do with the concept. But Maidstone, for me, was even better than the original one in Frimley. New areas have been added and the space just flows really well. Both boys got so much out of it and loved the experience. They sometimes played together but mostly wanted to do different things and I had no worries about losing sight of one for a few seconds within the play zone. There are no trip hazards, no steps for little ones to fall down and everything is geared up completely for small people. Plus, the location couldn’t be better for grown ups: with a multi-storey car park just a 3 minute stroll away and surrounded by popular high street shops and restaurants, perfect to grab a bite to eat in either before or after your session. In short: the littles loved it! Little Street is big on fun, big on imagination and big on small people. BIG thumbs up from us! Located on the 1st floor of Royal Star Arcade, High Street, Maidstone, ME14 1JL. There is a lift for pushchairs. Annual Passes are also available. ← NEWS: Mums travel London for free this Sunday!